Duhamel and Dewar, the parent company of Legend Boats, is celebrating its 50th anniversary this year. To honour this, Legend is hosting two events in Ontario – one at HQ in Whitefish and the other in the Barrie area to celebrate that location’s 25th anniversary. Plus, enter for your chance to win a dream vacation for two! Must be on location to win! Nickels for NEO kids, Help us fill a boat with nickels (change) in support of NEO Kids. Be sure to check out the history wall inside the new state of the art facility. 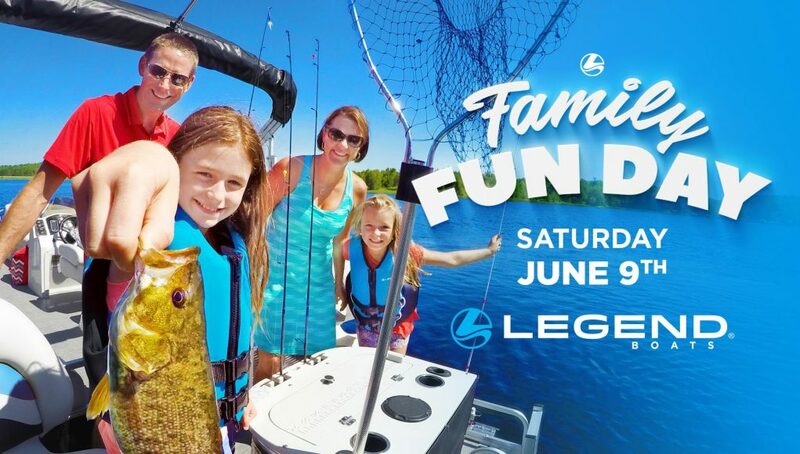 Legend is celebrating its 25th anniversary in the Barrie and Innisfil area with a Family Fun Day Saturday, June 9th. Help fill a boat by bringing a nonperishable food item in support of Youth Haven Barrie/Innisfil.